I will be honest that this book took me over a week to read, and I don’t think it was the actual story and the writing, but I just wasn’t in the reading mood this past week. I did find this book pretty intriguing even if it contains secrets and lies and of course when the truth does come out its at the WORST time it could come out. The story begins when our heroine, Ava Sutton, is fleeing with her best friend Grace to escape a man that would use them for his own means, who is also Grace’s brother who is cruel. Ava is the smart and cunning of the two, she devises a plan that will help them escape Grace’s brother and his evil plans for them. But they will have to hide their true identities. 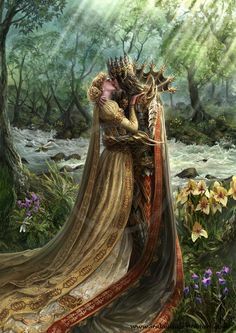 And she must convince the Tor Maclean to marry her, to save their lives. 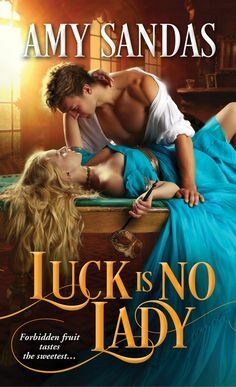 But what starts out as a innocent lie to save their lives turns into something far dangerous and one where Ava begins to lose her heart to this big and brawn highlander who has his own trust issues and has been betrayed before and the last thing Ava wants to do is hurt Tor…because he has been so good to her. But then their enemy has tracked them down and she might have to risk losing the man she loves to save him and his clan…but will their love be enough against their enemies? I actually had a blast with this story and even though I read it over several days, I always was pulled in quickly into the story. What we have here though, is a highlander romance that is built on secrets. And yes you understand why these two ladies are keeping this secret, because it could cost them their lives if they tell the truth and also they don’t want to put this clan in danger. But as the story progresses we see the conflict that Ava feels about not telling Tor the truth. Tor is a wonderful hero though. Yes he does have trust issues, and he has been betrayed before. But he is also hardworking, honest, will do anything to protect his people and is kind. I loved how protective he is of Ava even after the truth comes out, no matter how hurt he is or angry he is with Ava, he will do anything to see her safe. Now Ava isn’t a doormat nor is she a woman in need of a knight in shining armor, she is strong herself and can defend herself and she does it quite nicely. I loved how her brain works and that she never gives up and how protective she is of those she cares about. This is where Ava and Tor are SO much alike, because of what they are willing to sacrifice for those they love the most. I am curious to see how this series will progress and seeing how it is connected in the future. I am having a fun time with this author and her writing though. She really brings a good balance of Scottish history and romance together. And man the way she writes her heroes….yep just GRAB her books and you will see why I am falling in love with her writing style and the SWOONS!!! SIMPLY CAPTIVATING!